*Minimum order of 2 posters applies. 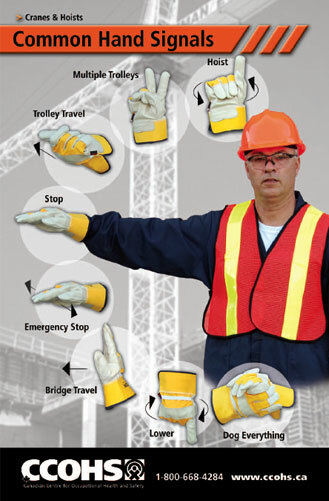 Now signalers at your workplace can easily reference the most common hand signals used during the operation of cranes and hoists. This poster is printed double-sided, with English on one side and French on the other.